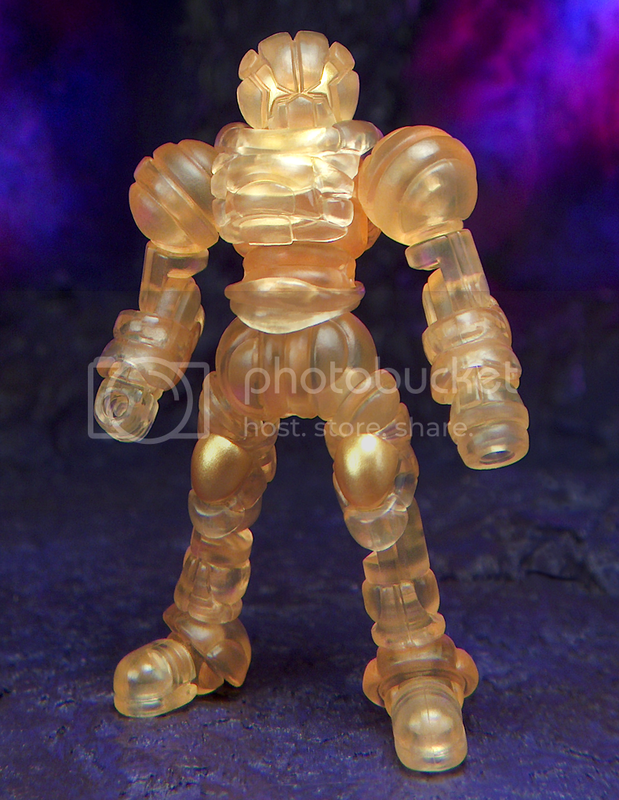 clark wrote: I would love to see some translucent figures with some item molded inside. I doubt there's any room to do something like that, but it could be cool. Clear swings sell out as I'm loading up the page. Damn the luck tonight. Shouldn't have put them off waiting for this drop. to Quote my buddy Pat Bussey "This drop was Freaking Bonkers!" the assortment of translucent figures was simply Jaw dropping. Almost pulled the trigger on the Hyper Henshin colorway, but I know clears really aren't my thing. No matter how many spectacular paintjobs are over them. Might have sprung for the Redlaw Qualleran if there were Swing Joints to match, but alas. Can't wait to see what you all cook up with this new round of releases. Should be fun to see! I'm thinking that Rayexx will likely match the colorway of that Arcosmica Phase Arm set. I hope it does at least. I'm digging that color blue. stuntzombie wrote: I'm thinking that Rayexx will likely match the colorway of that Arcosmica Phase Arm set. I hope it does at least. I'm digging that color blue. So hope we all. Reyexx and Metrastorm are going for an awesome team-up adventure once they get here. It was definitely a great spread. Personally the coolest thing was seeing a new contained build offered in the store. Can't lie, I would've liked to have seen one available in the Metrastorm color too. I missed out on Rayexx & Cytechion so if you have either to spare for trade check out my trade thread link in my sig. Faked diarrhea during a meeting and ran to the bathroom to place my order... oh yeah! VENENOR wrote: Personally the coolest thing was seeing a new contained build offered in the store. Yeah! That definitely brought back memories of the Council Guard Phase Defender. It was also nice to have all the Accessory Sets in one color again! akum6n wrote: Faked diarrhea during a meeting and ran to the bathroom to place my order... oh yeah! By the way, was the Metrastorm an homage, or an original? I cannot place it for the life of me. Man, painting gold over clear green parts for a light piping effect is friggn genius, and gorgeous. 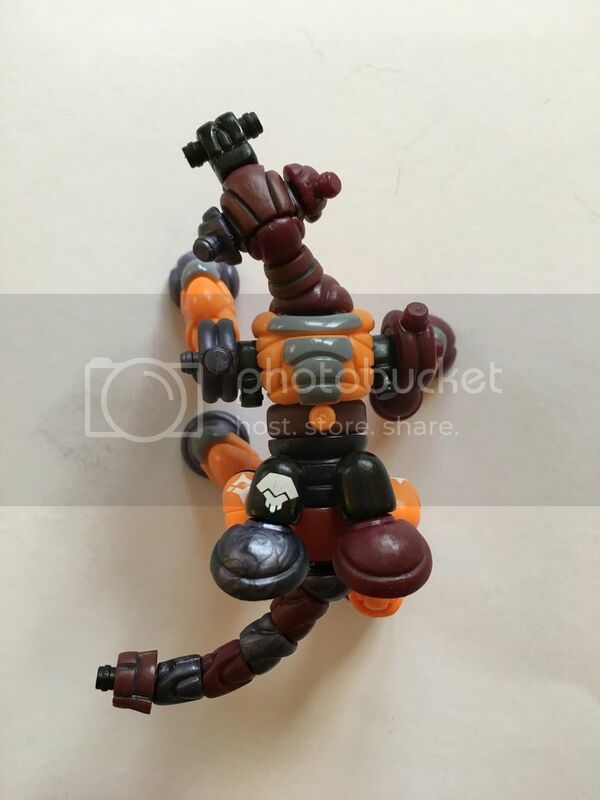 Special Edition build includes 2 Axis Joint Sets, 2 Swing Joint Sets, 1 Hub Set, 1 Phase Arm Set plus a 5-piece Glyarmor set (does NOT include heads or limbs). Also includes 2 bonus mystery parts for use in a secret alternate build. Has that been there since drop night? And just what are those two bonus parts? Nice catch I did not notice that drop night either! Now I'm even more psyched! Greaaaaaat, now I have the urge to get another Pathfinder. kranix wrote: Has that been there since drop night? The bolded section is new. It wasn't there on drop night. The total parts has always been 73 though. Toyetic wrote: The bolded section is new. It wasn't there on drop night. The total parts has always been 73 though. Gotta agree, if you add up all the part countsper accessory set it equals 73. I love me some mystery parts! And another Hyper Henshin Pathfinder purchased. Purchased another Hyper Henshin Pathfinder, that alternate Argen build is awesome!!! Ok, ok. I went back for another one. I thought the homage to the Henshin Cyborg jaguars was pretty amazing as a contained build. But a hidden Argen build... wow! 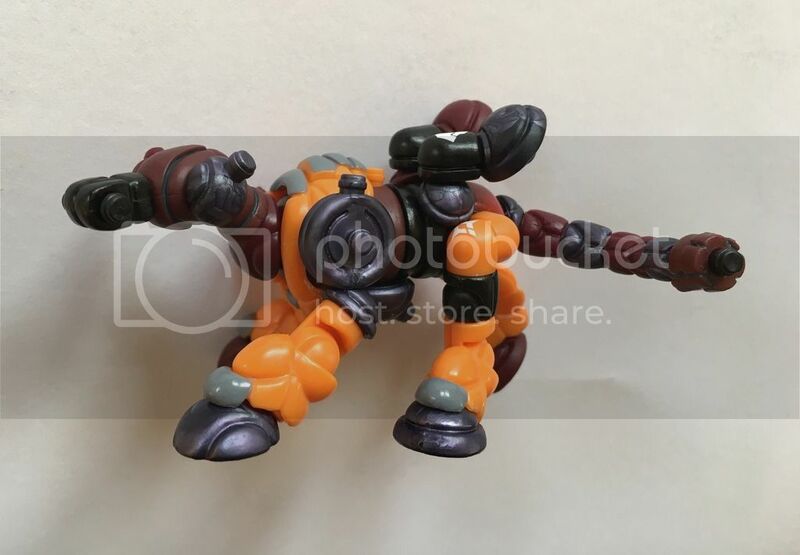 I think i've cracked the Pathfinder build, the tricky part was trying to figure out where the two tri-pegs from the Hubset go, but I'm pretty sure they are connected between the Gobon blaster (underneath the Glyarmor chest piece) and the Axis disc's, this pushes out the front shoulders and allows for more movement. I'm lovingly calling this one my Junk-finder, cause it's made up of a lot of extra sets that don't jive together. Has anyone attempted that new Argen build yet? I'm considering that next. Looks pretty easy. Witchwitchwitch wrote: Has anyone attempted that new Argen build yet? I'm considering that next. Looks pretty easy. Man, this one's so posey. Side view kinda demonstrates why some folks might prefer having a Glyarmor set that matches with the rest of the figure. The back is just as clean as the front. I couldn't quite figure out whether the hand attached directly to the Swing Joint socket or to the F-F Phase Arm piece, but it definitely works as a little robot friend. 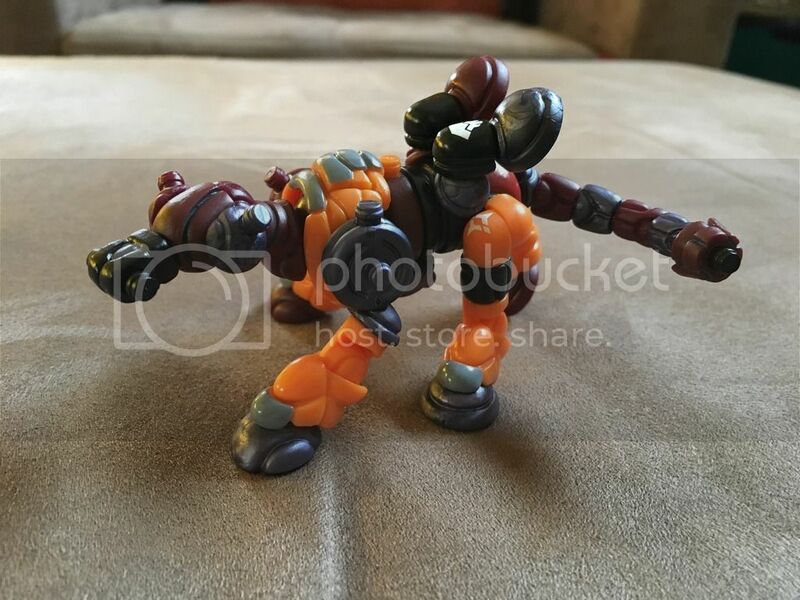 Sans Argen head, it's like an evolved Phase Defender, though not contained; aside from the usual Switch Pins, the Gobon Blaster ball and Hub helmet are left over, along with a few odds-and-ends. The scarf and Glyarmor definitely needed to be heated-up, but I'm really surprised at how well everything fits snugly afterward. It also doesn't look half-bad without that stuff, but I forgot to snag a pic. Ah, well. Happy to have been worried for nothing.